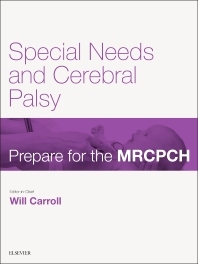 Special Needs & Cerebral Palsy is a new e-book in a collection of subject-themed e-books containing relevant key articles from Paediatrics & Child Health. The e-books provide a perfect source of revision for post-graduate exams in paediatrics and portfolio material for life-long learning. As well as mapping to the requirements of post-graduate training in paediatrics, these e-books also enable anyone with a short-term interest in a specific area to buy individual articles at a price-point that will give affordable access to all readers (from medical students to GPs and practitioners in related areas). The quality of user experience on mobiles, tablets and laptops will be an added bonus for learning on the move. The parent journal (http://www.paediatricsandchildhealthjournal.co.uk/) is a rolling, continuously updated review of clinical medicine over a 4-year cycle covering all the important topics for post-graduate exams in paediatrics. The journal’s articles are refreshed, updated, augmented or replaced as appropriate each time the subject is due for revision to provide a concise overview of knowledge and practice core to the curriculum. Each article is written by invited experts and overseen by the relevant subject specialist on the Board. A trainee representative on the Board ensures relevance and accessibility for exam candidates.